The RO1100S-IL is an in-line capable pump with a shorter cord than our standard model RO1100S. 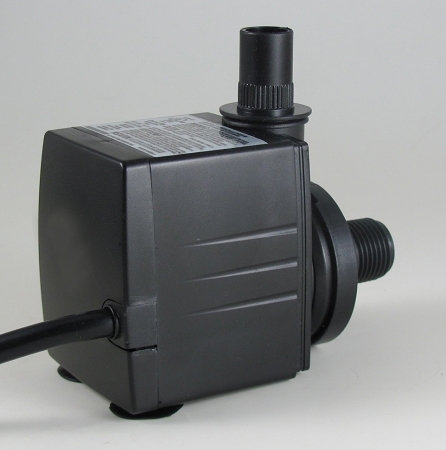 It is ideal for in-line industrial and commercial applications such as removing water from tanks, operating as a circulating pump, in-line fountains, etc. The pumps are compact and include both a standard flow-control with grill-intake and in-line conversion kit. 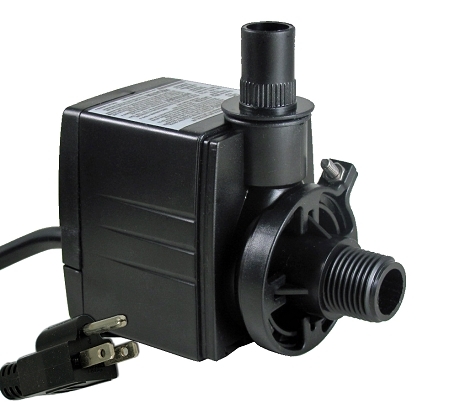 The outlet is fitted with a threaded discharge for use in fountains, aquariums and general fluid transfer needs. Tubing Adaptors: Y 3/4", 5/8", 1/2"